The purpose of iSEE Congress 2018 was to foster critical thinking on the strategies for meeting our growing urban transportation, housing, and food needs sustainably and for making our cities more resilient to climate change. Cities are the centers of economic activity but also large consumers of energy and water and sources of solid waste, air pollution, and greenhouse gas emissions across the world. They are hotbeds for poor air quality, congestion, and densified housing, and they are vulnerable to extreme damages to life and infrastructure due to severe weather events. Cities with more green space, permeable surfaces, and disaster-resilient infrastructure emit fewer emissions, thereby benefiting human health and well-being and increasing resilience against extreme weather events. Urban consumption patterns are being transformed with the emergence of ride sharing, e-commerce, smart phone enabled connectivity and demand for green infrastructure. More than 400 faculty, students, and others from across campus — and beyond — registered for iSEE Congress 2018. Previous Congresses on other grand challenges facing society have been attended by more than 300 people. iSEE Congress 2018 was supported by generous funding from the Office of the Vice Chancellor for Research and the Center for Global Studies. The organizing committee included iSEE Associate Directors Madhu Khanna, Ximing Cai, and Gillen D’Arcy Wood, and Illinois faculty members Imad Al-Qadi, Tami Bond, Arnab Chakraborty, Peter Christensen, Julie Cidell, Don Fullerton, Yanfeng Ouyang, Jeffery Roesler, Bev Wilson, and Donald Wuebbles. Abstract: Humans consume both private and public goods, many of which are not sold in markets. Yet, how much people value local public goods and other local amenities is revealed by how much people sacrifice to live in a location, as well as their decisions to stay or go. Accordingly, I will propose measures that capture the value of local amenities, and show how these have progressed over time. In particular, I will consider the role of natural amenities — particularly climate and geography — as opposed to other, “artificial” amenities that change over time. We will explore the question of whether people are paying more to enjoy natural amenities than they used to. This has important policy implications on housing policy and related policies that may influence where people live and work. Bio: Albouy is an Associate Professor of Economics at the University of Illinois and a Research Associate at the National Bureau of Economic Research, as well as at the Center for Business and Public Policy. He received his Ph.D. from the University of California at Berkeley in 2007, winning the National Tax Association and two other major awards for his dissertation on the distribution of federal taxation and spending. His main interests are in urban, public, and labor economics. His major publications are found in the American Economic Review, the Journal of Political Economy, the Review of Economics and Statistics, the Journal of Public Economics, the Journal of the Association of Environmental and Resource Economics, and the Journal of Urban Economics. Currently Albouy is working on issues related to housing affordability and inequality, population distribution and policy, and the value of public infrastructure and amenities. Abstract: This presentation will discuss an approach for mapping and addressing the negative impacts of extreme heat on vulnerable populations. The research identifies locations of populations most vulnerable to extreme heat events in the Chicago metropolitan area using U.S. Census data and maximum likelihood factor analysis to derive an index that captures where residents exhibit greater sensitivity and lower adaptive capacity to extreme heat. Separately, the research assesses the distribution of surface temperatures using Daymet dataset (maintained by the Oak Ridge National Laboratory and hosted by the NASA-supported Distributed Active Archive Center). Using overlays and scenario analysis, the presentation will identify areas with the greatest need for emergency response in case of future extreme heat events, as well as areas that need adaptation and mitigation in the long term. Finally, the presentation will share a web-based tool under development with a number of Chicago organizations, most notably the Chicago Department of Public Health. The research project is in collaboration with Professor Bev Wilson of the Department of Urban and Regional Planning. Bio: Chakraborty is a Professor of Urbana and Regional Planning and an Associate Dean at the U of I. His research concerns critical questions of housing and infrastructure development, and the role of technology in advancing urban analysis and planning. In addition to his academic appointments, he is an editorial board member of the Journal of the American Planning Association and an associate editor of the Journal of Urban Planning and Development. He is also the Dean’s Fellow in the College of Fine and Applied Arts with primary roles in research funding administration and advising faculty members seeking external grants. Chakraborty’s research has been funded by the National Science Foundation, Federal Highway Administration, Urban Institute, and the Lincoln Institute of Land Policy, among others. His ongoing projects include mapping urban vulnerability to climate change and using scenario analysis techniques to advance long range planning. His current projects are in Champaign-Urbana, Chicago, and India, and involve considerable collaboration with technology companies as well as federal and international organizations. Chakraborty received a B.Arch. in Architecture in 2001 from the Indian Institute of Technology, Kharagpur, an M.S. in Urban Planning and Policy in 2003 from the University of Illinois at Chicago, and a Ph.D. in Urban and Regional Planning in 2007 from the University of Maryland. Abstract: Social equity is the third pillar of sustainability, alongside environmental and economic sustainability. One way to think about social equity is through the concept of environmental justice, which considers the spatial distribution of the kinds of environments in which different social groups get to live. This can include disproportionate exposure to pollution or natural hazards, as well as inadequate access to environmental amenities such as green space. The provision of infrastructure can have positive or negative effects on neighboring communities, and balancing those effects across space and social groups is vital to ensuring social equity. Rather than think about environmental justice as something to add on or consider after the fact, this presentation discusses how a focus on environmental justice in infrastructure provision will lead to more sustainable cities. I consider three different examples: mitigation of natural hazards; transportation infrastructure; and green infrastructure. In all three cases, the history and spatial distribution of existing inequities are vital to understanding how sustainability can be achieved in the present and for the future. Environmental injustice is neither socially nor environmentally sustainable, and it needs to be explicitly considered when planning infrastructure for sustainable cities. Bio: Cidell is a Professor of Geography and Geographic Information Sciences at the University of Illinois at Urbana-Champaign. She is originally from the southwestern Chicago suburbs, with a B.A. in Geography from the University of Chicago and a Ph.D. in Geography from the University of Minnesota. Outside of the academy, she has worked as a transportation engineer in Boston. Her research focus is on urban infrastructure, sustainability, and local governments. She studies how local governments and individual actors matter in struggles over large-scale infrastructure and policy development and the corresponding urban environments that are produced. Her areas of study have included airports, railroads, and logistics hubs as well as green buildings and urban sustainability policies. Her book, Imagining Sustainability, compares Chicago and Melbourne in terms of how actors in each city conceptualize and imagine the environment and what difference that makes to their policies and programs. Her current research is on student mobility on and around campus, including how young people learn to independently navigate and make modal choices. She teaches on urban geography, transportation and sustainability, and geospatial technologies and society. Abstract: Every day, billions of people across the planet go about their activities in cities, consuming energy, water, and food, and traveling around, each in their own individual way. Cities are fascinating complex systems, and making sense of all the activities going on in them is challenging. Nonetheless, it is a challenge that we can now seriously tackle thanks to the amazing amount of data and data mining techniques to which we have access. In this presentation, I will dwell on three main points. First, I will talk about the need to rethink how we plan, design, and operate cities. Second, I will list several problems that need to be solved if we are truly to build sustainable cities. Third, I introduce some of the ways new data mining techniques can help us uncover important patterns and behaviors in how people consume energy and resources in cities. Einstein said, “We cannot solve our problems with the same thinking we used when we created them” — and I will argue that there has never been a better time to rethink how we can make smart, sustainable, and resilient cities. Bio: Derrible is an Associate Professor of Sustainable Infrastructure Systems in Civil and Materials Engineering, a Research Associate Professor at the Institute for Environmental Science and Policy, and the Director of the Complex and Sustainable Urban Networks (CSUN) Laboratory at the University of Illinois at Chicago. His research is at the nexus of urban metabolism, infrastructure planning, complexity science, and data science to redefine how cities are planned, designed, and built to make them smart, sustainable, and resilient. He received a National Science Foundation CAREER Award for his work, and he obtained his Ph.D. from the University of Toronto. Abstract: Absent an unanticipated catastrophic event, it is likely that the global population will increase by approximately 2 billion individuals by 2050. And average global per capita income growth is likely to continue to increase, signaling a shift in diets from basic commodities to increased demand for fruits, vegetables, and animal products. Today, more than half of the population lives in urban centers, and that is expected to increase perhaps beyond 60% by 2050. There is no reason to believe that the planet cannot support sufficient food for 10 billion or more inhabitants — but not without progress on four basic fronts: (1) an increase in total production; (2) prevention of harvest, storage, transport, and processing losses of what is produced; (3) improvement in the efficiency of animal production; and (4) sustaining the capacity of the ecosystem to produce food in abundance. Local production of foods can contribute not only to an increase in the total food supply, but also to reduced transport and storage losses and, potentially, to overall sustainability. Significant developments in both vertical farming and high-yield greenhouse production systems are changing the landscape for urban food systems. Bio: Easter grew up on a grain and livestock farm in Southwest Texas, earned his undergraduate and master’s degrees in agriculture at Texas A&M and his doctorate in swine nutrition at the University of Illinois in 1976. He joined the U of I College of Agriculture faculty in 1976 and taught swine production and nutrition courses, conducted research in that area, served as Head of the Animal Sciences Department, Dean of the College of Agriculture, Consumer and Environmental Sciences, Interim Chancellor of the Urbana campus and from 2012 to ’15 as President of the University of Illinois system. He consulted extensively for the private sector, non-governmental organizations, and government entities in Latin America, China and the former Soviet Union on issues in production agriculture. He is a Fellow of the American Society of Animal Science and an honorary member of the American Society of Agricultural and Biological Engineers. In 2008 President George W. Bush appointed him as Chair of the Agricultural Advisory Board for the USAID. He currently serves on the boards of five NGOs (Illinois Agriculture Leadership Foundation, The Illinois State Fair Foundation, Supporters of Agricultural Research Foundation, Lincoln Academy of Illinois, and the Riley Memorial Foundation) and is member of the board for Aptimmune, a swine vaccine company. Abstract: The limited land and other resources of urban centers make them particularly concerned with the “circular economy” — the idea of recycling post-consumer waste back into production instead of into overcrowded landfills while using new resource extraction for production. Policies toward that goal could include a price per unit garbage, a subsidy to recycling, a tax on virgin material extraction, or other mandates and incentives. But that cycle of materials — from consumers to producers and back — is not the only relevant cycle. Another natural cycle occurs as ground carbon decomposes into the atmosphere and is reabsorbed by new plants, eaten by animals, and eventually decomposes back into the atmosphere. Urban use of fossil fuels also can disrupt that cycle, with environmental consequences. The carbon cycle is affected not only by energy policies but also by waste disposal policies — connecting those two cycles. A third key cycle is general economic activity: consumers provide labor and capital to businesses that use natural resources to produce goods sold back to consumers. Thus, any income tax or other policy that affects business activity — effectively, any public policy at all — will affect the economic cycle, the carbon cycle, and the waste cycle. 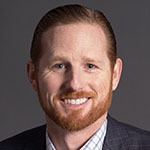 Bio: Fullerton is the Gutgsell Endowed Professor at the University of Illinois at Urbana-Champaign, where he is in the Finance Department, the Center for Business and Public Policy (CBPP), and the Institute of Government and Public Affairs (IGPA). He is Editor of the Journal of the Association of Environmental and Resource Economists (JAERE). His research analyzes economic effects of public policies, including distributional and efficiency effects of environmental policy. He received a B.A. from Cornell in 1974 and a Ph.D. in Economics from the University of California at Berkeley in 1978. He taught at Princeton University (1978-84), the University of Virginia (1984-94), Carnegie Mellon University (1991-94) and the University of Texas (1994-2008), before joining the U of I in 2008. From 1985 to ’87, he served in the U.S. Treasury Department as Deputy Assistant Secretary for Tax Analysis. Abstract: Older cities in the United States and Europe such as Chicago, New York, Philadelphia, and London have experienced severe water pollution problems due to combined sewer overflow (CSO) during rainfall events. The same is true for expanding cities around the world where sewage is not yet entirely disposed of separately, such as in Shenzhen and Xiamen, China. This presentation will provide an overview of the CSO problems, reduction goals, solutions, evaluations, and prospects. Three existing solutions/approaches will be reviewed and compared: (1) at the source through reduction of runoff inflow by stormwater green infrastructure measures such as rain gardens; (2) along the transport pathway through detention/storage such as deep tunnels and subsequent treatment; and (3) at the overflow/discharge point (end of the pipe) through rapid disinfection and high-rate treatment. The presentation will also discuss: (a) how these existing approaches could be selected for different cities and for different management goals; (b) how these existing approaches could be combined to achieve the management goals; (c) whether additional sustainability benefits besides the water quality improvement such as urban flood mitigation and ecosystem services could be realized; and (d) what innovative approaches could be pursued. Case studies will be presented as well. Bio: Guo is a Professor of Civil and Environmental Engineering at Rutgers University. His specialty and research areas are urban stormwater and flood management, inland and coastal water environment restoration, green and sustainable water infrastructure, and hydraulics and hydrology. Guo has directed more than 40 research projects as the principal investigator, published over 150 papers and reports, and obtained two U.S. patents. His major research achievements include green and adaptive flood risk reduction strategies, maintenance intervals for emerging stormwater green infrastructure, new methods for estimating freshwater input and water residence time in estuaries, innovative combined-sewer sediment flushing techniques, etc. His interest in combined sewer overflow started with his hydraulic transient modeling analysis of the Chicago Deep Tunnel Plan. Guo has also actively served the profession. He has chaired the Stormwater Technology Certification Guidelines Task Committee for the American Society of Civil Engineers, served on a project steering committee for the Water Environment Research Foundation, and served as President of the Chinese American Water Resources Association. Guo received B.E. from Tianjin University and both his M.S. and Ph.D. degrees from University of Minnesota. He is a licensed civil engineer and a Diplomat of the American Academy of Water Resources Engineers. Abstract: History has proven that humans are keen to quickly adopt new disruptive technologies. Automated driving is no different. In fact, it’s coming much faster than you can imagine. Without a doubt, we live in a time where artificial intelligence, safety requirements, high-bandwidth computing and massive investments in autonomous driving are all converging. This, combined with the initiatives of big data companies, will rapidly transform the automotive industry. It takes an ecosystem of partners, which AutonomouStuff has strategically pulled together, to address these challenges. Bio: Hambrick is the founder and CEO of AutonomouStuff, a leader in the automotive and technology industry. Hambrick founded AutonomouStuff in 2009 to serve the growing interest in automated vehicles in various markets including automotive, mining, military, agriculture, aerospace, and academia. He is one of the first to develop and bring to market an automated R&D vehicle. As a single founder, Hambrick has developed the company like no other in the automotive industry: triple-digit growth for the last three years. As the leader of one of the most respected companies in the industry, Hambrick works with local robotics teams and universities to inspire the future leaders to build a safer and better world. Prior to founding AutonomouStuff, Hambrick led technical sales at Springfield Electric. He holds a B.S. in Business Administration Management. Abstract: Heat and cold events are collectively responsible for higher mortality rates than all other weather-related events, and they have substantial impacts on human productivity, urban infrastructure, and urban ecosystems. To various degrees, urban managers make efforts to address these impacts via emergency services, building and energy programs, and landscape ordinances. However, few urban communities have begun to address the problem of temperature vulnerability in a systematic and comprehensive way. Building Capacity for Smart & Connected Management of Thermal Extremes is a visioning process that brings together local government sectors and academic disciplines in multiple bioclimatic regions. Collaborators include managers of energy systems, weather services, transportation, emergency medical services, social services, sustainability, and environmental planning in Buffalo, N.Y., and Tempe, Ariz. Through project forums, administrators and staff have developed a vision of collaborative temperature management that is supported by technology and data — and informed by residents’ experiences with temperature events. More broadly, this vision reflects how university/government partnerships can enhance urban resilience. Bio: Hamstead is an Assistant Professor of Environmental Planning at the University at Buffalo. Building on interdisciplinary approaches in urban planning, geography, urban ecology, and landscape ecology, her work explores vulnerability to heat and cold events. Her research supports equitable climate adaptation planning approaches through vulnerability mapping, community engagement and citizen science. Hamstead’s work has been funded by the National Science Foundation Smart and Connected Communities program, Environmental Protection Agency STAR program, the RENEW Institute and the National Science Foundation IGERT program. She teaches courses in environmental planning & policy, environmental justice and geographic analysis of environmental problems. Hamstead holds a Ph.D. in Urban & Public Policy from The New School, an M.S. in City and Regional Planning from the University of North Carolina at Chapel Hill, and a B.A. from St. John’s College. Abstract: A number of goals for improving the sustainability of cities can be addressed by planning and decision alternatives for changes in built infrastructure — and processes by which those changes are planned, designed, delivered, maintained, and removed or rebuilt. This presentation reviews some of the goals for improving the sustainability of built infrastructure, and discusses several frameworks and approaches that have been developed for quantitatively evaluating, comparing, and prioritizing alternatives using cost, environmental, and social performance measures based on those goals in the planning, design, and asset management stages of infrastructure delivery. Opportunities and obstacles for inclusion of these quantitative performance metrics in business practices of local and state governments are noted based on work to date. Examples are given of application and/or current research and development of these measures and approaches. Conclusions are drawn regarding progress to date, gaps that need to be addressed, and recommended future work and actions. Bio: Harvey is a Professor of Civil and Environmental Engineering, Director of the UC Pavement Research Center (UCPRC) with additional laboratories at UC Berkeley, and past chair of the Transportation Technology and Policy Graduate Group at the University of California, Davis. He is Director of the newly created City and County Pavement Improvement Center (CCPIC), a consortium of the UC and California State University campuses working with California cities and counties to help local governments through training, implementation support, and research. Harvey is a Principal Investigator on projects for research, development, and implementation for a wide range of pavement technology, pavement management, cost, and environmental topics for Caltrans, FHWA, FAA, CalRecycle, the California Air Resources Board, the Transportation Research Board, other state DOTs and industry. He has a B.Sce. from Oregon State University and completed his M.S. and Ph.D. degrees at UC Berkeley after working five years consulting in Texas and as a federal government officer in Nigeria. He is a professional civil engineer in California. Abstract: Cities are complex systems. In fact, they are complex systems of complex systems. City Tech Collaborative is designed to transform cities, and all their complexity, into testbeds for new ideas. This presentation will talk about the model of this public-private partnership that is remaking essential city services and infrastructure — and preparing the solutions to scale to other cities. The ultimate goal is increasing the world’s odds of solving big, urban problems. Bio: Hecktman is Microsoft’s Director of Technology and Civic Innovation for Chicago and Cleveland. In this capacity, he helps the cities’ civic leaders — and the communities they serve — use cutting-edge ideas around technology to solve the city’s biggest social challenges. He provides guidance on the key issues and opportunities facing neighborhoods and communities today and in the future. Prior to this role, Adam was the Director of the Microsoft Technology Center — Chicago, helping organizations ensure long-term success when facing their toughest business challenges and opportunities. He has been with Microsoft in Chicago since 1991. Prior to Microsoft, Adam was a consultant at Accenture. Hecktman received a B.S. in Commerce and Business Administration from the University of Illinois at Urbana-Champaign and is pursuing his M.S. in Predictive Analytics with a concentration on Computational Methods at DePaul University. He has served his community in various capacities and appointments at non-profit, community, and professional organizations including: Founder of the Chicago City Data Users Group; Board of Directors of the Chicagoland Entrepreneurial Center (1871); Board of Directors of Genesys Works Chicago; Board of The Family Institute at Northwestern University (past Chair); board member of the American Diabetes Association Chicago; editorial board of The International Journal of Innovation Science; Advisory Board of IT Knowledge Abilities Network; Mayor’s Council of Technology Advisors; board member of GoCivic; board member of TechForward; advisory board member of SolveSmart Cities; and past board member of the Chicago Children’s Museum. Abstract: As the globe’s population has rapidly urbanized, it has become readily apparent that the long-term sustainability of the planet depends critically on the long-term sustainability of its cities. Since the early 1990s, sustainable cities were often promoted within the planning community under the term “smart growth.” The principles of smart growth are now nearly 20 years old, and over the last decade smart growth has given way to “sustainable development” — a term used by a wider set of researchers, activists, and policy makers to convey economic, social, and environmental approaches to city planning and management. But what have we learned over the past 20 years, both in terms of the validity of smart growth principles and strategies for policy implementation? Further, what lessons from the past 20 years can be drawn to develop new strategies for meeting the housing, transportation, energy, public health, and climate challenges over the next 20 years? This presentation offers a review of smart growth research — and strategies for more sustainable cities in the years to come. Bio: Knaap is a Professor of Urban Studies and Planning and Executive Director of the National Center for Smart Growth Research at the University of Maryland. He earned his B.S. from Willamette University and his M.A. and Ph.D. from the University of Oregon, and received postdoctoral training at the University of Wisconsin at Madison, all in Economics. Knaap’s research interests include the interactions between housing markets and policy, the economics and politics of land use planning, the efficacy of economic development instruments, and the impacts of environmental policy. On these subjects, he has authored or coauthored more than 65 articles in peer-refereed journals, and coauthored or co-edited nine books. He received the Chester Rapkin award for the best paper published in Volume 10 of the Journal of Planning Education and Research, with Greg Lindsey, he received the 1998 best of ACSP award, and in 2006 he received the Outstanding Planner Award from the Maryland Chapter of the American Planning Association. He currently serves on the State of Maryland’s Smart Growth Subcabinet, Sustainable Growth Commission, Governor’s Scientific Advisory Panel, and the Mitigation and Science workgroups of the Climate Commission. Abstract: The concept of smart cities has been around for a decade, but it’s only in the last few years that it’s started to pick up steam. The technology drivers are well known: sensors, Internet of Things (IoT), machine learning, artificial intelligence, 5g wireless, fiber networks, big data, et al. But implementation is another matter. There are a lot of moving parts. This presentation discusses how to define, assess, prioritize, and strategize your own smart evolution. Bio: Lane is a Lead Business Development Director in the Internet of Things Smart Cities organization. He leads business development and go-to-market efforts for this emerging business unit inside of AT&T’s Internet of Things (IoT) Division. This business unit is responsible for AT&T’s Smarter Cities solutions that Cities, Government, Campuses and Metro Region’s will implement to drive sustainability, process improvements, public safety, citizen engagement, innovation, and economic development. Prior to joining the Smart Cities team, he was responsible for all technical sales and engineering for government and education clients in Illinois, Michigan, and Ohio within AT&T’s Government and Education segment. His organization had the lead role in designing and selling IT infrastructure and application solutions. He also had responsibility for the organization’s technical sales strategy and training. Lane began his tenure with AT&T in 2003 as a SBC technical sales consultant in the Chicagoland area. His varied background includes a number of sales, technical sales, engineering, and supervisory positions. He was born in Cleveland, Ohio, and has spent the last 15 years in the Bucktown neighborhood of Chicago. He holds a B.S. in Communication Systems Management and a Business Minor from Ohio University. Abstract: Passenger vehicles offer comfort and convenience, and most U.S. households rely heavily on passenger vehicles for their transportation needs. But when someone decides to drive a car, this decision affects the environment, traffic accidents, and travel times for other people. These negative consequences of driving depend on the amount people drive and the emissions from their vehicles. Policy makers trying to reduce these costs and improve sustainability of the transportation system can choose policies that incentivize less driving and lower vehicle emissions. Current federal policies aim to reduce vehicle emissions by setting emissions standards and promoting electric vehicles and cleaner fuels. Many state and local governments also promote electric vehicles, and some are experimenting with policies that try to reduce the amount people drive compared to other, more environmentally friendly transportation options. The success of these policies will depend on their ability to affect decisions by households and many businesses, including vehicle manufacturers. This presentation will consider recent experiences with these policies, and based on these experiences identify some of the key challenges for policy makers in the future. 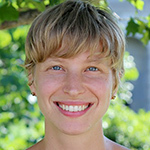 Bio: Linn is an Associate Professor in the Agricultural and Resource Economics Department at the University of Maryland and a Senior Fellow at Resources for the Future (RFF). His research centers on the effect of policy and market incentives on technology, with particular focus on the electricity sector and passenger vehicles. His work on the electricity sector has compared the effectiveness of cap and trade and alternative policy instruments in promoting new technology, including renewable electricity technologies. Several of his studies on passenger vehicles investigate the effect of fuel economy standards on consumers and manufacturers. His research has also examined driving patterns, and the effects of gas prices and other factors on household driving decisions. Past research on the manufacturing sector has explored the effect on new technology of price and consumer demand incentives. 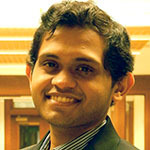 He has published in leading general interest and field journals in environmental, energy, and health economics. Linn joined Maryland in 2018 and RFF in 2010. Before that, he was an Assistant Professor of Economics at the University of Illinois at Chicago and a Research Scientist at the Massachusetts Institute of Technology, from where he received a Ph.D. in Economics in 2005. Linn received B.A. in Astronomy and Physics from Yale University in 2000. Abstract: Transportation is undergoing deep and significant transformation, seeking to fulfill the promise of connected mobility for people and goods, while limiting its carbon footprint. The advent of autonomous vehicles has the potential to change the economics, ownership, and use of private automobiles — likely accelerating trends toward greater use of app-based ride hailing and/or sharing by private TNCs (Transportation Network Companies). We outline and interpret developments in connected and autonomous vehicle technologies, coupled with electrification, in the broad context of the Internet of Things (IoT), smart cities, and clean technologies; identify likely deployment scenarios; and highlight implications and opportunities for emerging service delivery models — particularly with regard to the respective roles of the public and private sectors. Several potential business models with varying degrees of ride sharing and public vs. private involvement in the delivery of mobility as a service (MaaS) are presented. These are integrated with conventional transit modes in an intermodal dynamic network modeling framework, which is applied to the Chicago region to evaluate the mobility impact of new services. Potential futures could differ widely in terms of implications for mobility and sustainability. Bio: Mahmassani is the William A. Patterson Distinguished Chair in Transportation at Northwestern University, where he is Director of the NU Transportation Center. He is a Professor in Civil and Environmental Engineering, with joint appointments in Industrial Engineering and Management Sciences, and Managerial Economics and Decision Sciences in the Kellogg School of Management. Prior to Northwestern, he served on the faculties of the University of Maryland and the University of Texas at Austin. He has more than 35 years of professional, academic, and research experience in the areas of intelligent transportation systems, freight and logistics systems, multimodal systems modeling and optimization, pedestrian and crowd dynamics and management, traffic science, demand forecasting and travel behavior, and real-time operation of transportation and distribution systems. Mahmassani holds a B.S.C.E. degree in Civil Engineering from the University of Houston, an M.S. in Civil Engineering from Purdue, and a Ph.D. in Transportation Systems from the Massachusetts Institute of Technology. Abstract: With an increased focus on reliability and a desire to reduce environmental impacts, the energy industry is beginning to explore the advantages of advanced microgrids as a complement to centralized power distribution. Microgrids combine renewable resources, energy storage, and smart grid technology with layered intelligence, allowing the system to act alone without central grid control or to feed back into the main grid when electric demand is high. For this reason, cities, universities, data center campuses, military bases, corporations, hospitals, and others have taken note of the benefits, seeing microgrids as a means to provide continuous, reliable, clean and sustainable power so that operations can continue 24/7. During this session, we will further demonstrate the promise microgrids bring to the future of sustainable electric distribution by exploring the concept of microgrids, examples of successful installations to date — including why Illinois is home to two of the nation’s most sophisticated microgrid projects — and the business case for installing microgrid systems. Bio: McCarthy is S&C Electric Co.’s Vice President of Sales Enablement, where he is responsible for global marketing, advanced sales messaging, regulatory affairs, and certain niche market segments — which includes microgrids. He previously served as S&C’s Managing Director for Europe, the Middle East and Africa, working to apply his passion and experience to increase the reliability and efficiency of the electricity grid across regions. Prior to that, he served as Director of Grid Automation and Control, responsible for product management and global strategy for all of S&C’s automations offerings, including award-winning products. McCarthy joined S&C at its Chicago headquarters in 2006. He received a B.S. in Electrical Engineering from the University of Illinois at Champaign-Urbana; an M.S. in Electric Power Engineering from Rensselaer Polytechnic Institute in Troy, N.Y.; and an MBA from the Keller Graduate School of Management. Abstract: The future of urbanization depends on the rebuilding of infrastructures that are adaptable to change and disturbance. McGuire, whose work focuses on the relationship between water and cities, will present the concept of landscape as infrastructure and will discuss landscape’s role as ecological infrastructure for cities, with an emphasis on urban stormwater design. In doing so, she addresses two related and fundamental questions: What are the opportunities to regenerate cities through living systems infrastructure, and in particular how do climate change and the fresh water crisis drive reconsiderations of the role of landscape? She will present historical and contemporary examples from landscape architecture, where landscape serves as ecological and social infrastructure at the urban and regional scale, providing vital and systemic performance through land and landscape processes. She will share a vision of urban landscape beyond traditional parks and gardens, that includes the whole surface of the city. McGuire will emphasize the need to reduce and transform imperviousness throughout cities as a critical landscape infrastructure network for future resilience. Bio: McGuire is a Registered Landscape Architect, Assistant Professor in Landscape Architecture at the University of Illinois at Urbana-Champaign, and principal designer at The Water Lab. Her design research and teaching focus on water-based landscape architecture and urbanism, investigating the retrofit design of abandoned land, urban pavements, and public rights-of-way as hydrologically active surfaces and spaces for cities. Her current work is supported by the Wright Ingraham Foundation, FAA Design Research Fellowship, and a NOAA Sea Grant, and profiled in Landscape Architecture Magazine and Architects Newspaper. She has an M.S. in Landscape Architecture from the University of Virginia School of Architecture and a Certificate in Leadership in Sustainability Management from the University of Chicago. Previously, McGuire was Studio Assistant Professor at IIT in Chicago and a Research Fellow with the Landscape Architecture Foundation. She practiced with Conservation Design Forum in Chicago and with Peter Walker & Partners in Berkeley, Calif.
Abstract: The Urban Food Hubs of the University of the District of Columbia envisage a network of decentralized, small-scale, highly productive, urban agriculture sites that consist of four integrated components: (1) food production; (2) food preparation; (3) food distribution; and (4) waste and water recovery. Each of these four components offers opportunities for training, business development, job creation, improved food access, and better health outcomes. They also introduce ecosystems services into the urban scape that build urban resilience through a range of provisioning, regulating, supporting, and cultural services as defined by the United Nations. This presentation describes the four components of the urban food hubs in four different locations across Washington, D.C. It also reviews the tangible and less tangible implications of the Hubs and their potential for metropolitan areas that experience decline, and those that experience intense land-use pressures. Bio: O’Hara is the founding Dean of the College of Agriculture, Urban Sustainability and Environmental Sciences (CAUSES) and Landgrant Programs at the University of the District of Columbia, the only public university in Washington, D.C., and the only exclusively urban land grant university in the United States. As Dean of CAUSES, she is responsible for academic, research and community outreach programs in the tradition of land grant universities, and is leading the University’s efforts to build a cutting-edge model for urban agriculture and urban sustainability that improves the quality of life and economic opportunity for urban populations, and the resilience of urban communities. O’Hara is well known for her expertise in sustainable economic development, community based assessment, urban agriculture, and global education. She has experience in virtually every aspect of university administration including curriculum development, strategic planning, program accreditation, participatory research, and international partnerships. O’Hara earned her M.S. and Ph.D. in Environmental and Agricultural Economics from the University of Göttingen, Germany. She is the founder and principal of Global Ecology LLC and serves on the board of several national and international organizations including as past president of the International Society for Ecological Economics and the U.S. Society of Ecological Economics. Abstract: The talk presents a systematic view on a range of mobility service systems that provide door-to-door transportation in cities. These systems include traditional transit, nonshared taxis, paratransit services (such as dial-a-ride), and the newer forms of ridesharing (shared taxis or carpooling) used by crowd-sourced companies like Lyft and Uber. Operational similarities and differences of these systems will be discussed, along with quantitative comparison of their resource requirements (e.g., the required operating fleet size) and passengers’ expected level of service (e.g., average door-to-door travel time). Based on joint work with Carlos Daganzo of the University of California at Berkeley and the U of I’s Chao Lei and Zhoutong Jian, this recent study also shows how mobility service providers and government agencies can systematically explore operating, pricing, and regulatory strategies to enhance sustainability of urban transportation. Bio: Ouyang is the G. Krambles Endowed Professor of Rail and Public Transit, P.F. Kent Endowed Scholar, and D.B. Willett Scholar at the U of I. His research mainly focuses on modeling transportation, logistics, and infrastructure systems, and applications to military, energy, and agricultural industries. He currently serves as a Department/Area/Associate Editor of IIE Transactions, Networks and Spatial Economics, Transportation Science, Transportation Research Part C, and Transportmetrica B. He is also on the editorial board of Transportation Research Part B and the ASCE Journal of Infrastructure Systems. His work has been recognized with a Merit Award for Outstanding Technical Plan or Study from the American Planning Association, a Walter L. Huber Research Prize from the American Society of Civil Engineers, a High Impact Project Award from the Illinois Department of Transportation, a Faculty Early Career Development (CAREER) Award from the U.S. National Science Foundation, a Campus Distinguished Promotion Award from Illinois, an Outstanding Adviser Award from the U of I, and a Xerox Award for Faculty Research from UIUC, among others. Ouyang received his B.Eng. in Civil Engineering in 2000 from Tsinghua University, Beijing, China; an M.S. in Civil Engineering in 2001 from the University of Washington, an M.S. in Industrial Engineering and Operations Research in 2005 from the University of California at Berkeley, and a Ph.D. in Civil Engineering in 2005 from UC-Berkeley. Abstract: Transport infrastructure projects have transformative impacts on the economy and sustainability of our cities. They affect how people move, live, and work, are a strong factor in land use type and intensity, and a key driver of environmental emissions. Discussions of the environmental and social impacts of transportation tend to focus on mobility, excluding the intimate relationship between infrastructure provision, induced demand, and land use change. This talk will explore the full life cycle environmental impact of transport infrastructure provision including construction; operation; travel behavior; land use intensification; and land use, land-use change, and forestry (LULUCF). Transport infrastructure has a long life, as transport infrastructure decisions from the early 20th century continue to shape our cities today. Our choices around transport infrastructure will impact society and sustainability for the duration of the century and longer. With the rise of autonomous and electric vehicles, a holistic understanding of transport infrastructure’s sustainability impact is increasingly urgent. Bio: Saxe is an Assistant Professor in Sustainable Urban Infrastructure in the Department of Civil and Mineral Engineering at the University of Toronto. Her research interests focus at the intersection of mega infrastructure development and long-term sustainability goals. Her main expertise lies in life cycle greenhouse gas evaluation of rail infrastructure including the impacts of construction, operation, and influence on travel behavior and interactions with land use. Saxe carries out ex-post studies of working infrastructure to better understand the complex ways large-scale civil infrastructure interacts with society. She holds an M.Sc. in Geotechnical Engineering from the Massachusetts Institute of Technology and a Ph.D. in Engineering from the University of Cambridge. She was previously a consulting engineer in Toronto, where she worked on the design and construction of the York University Subway Station, the Eglinton Crosstown and the Billy Bishop Airport Tunnel, among other projects. Abstract: Energy and water are closely related resources. In the urban water system, energy is needed to collect, treat, and distribute water and wastewater resources, with additional energy needed for water heating at end uses. Urban water data are poorly characterized in the United States with no federal-level database of water and wastewater utilities. To fill this gap, we have collected and published treated flow and required energy data for more than 160 U.S. water and wastewater utilities. Average per-person daily flows are estimated at 560 L for drinking water and 500 L for wastewater, requiring 1% of annual U.S. electricity consumption. Non-revenue water averages more than 9 billion m3 annually, requiring enough electricity to power 300,000 households. These data show that water efficiency plays a significant role in energy sustainability. Bio: Stillwell is an Assistant Professor in Civil and Environmental Engineering at the University of Illinois at Urbana-Champaign. She earned a B.S. in Chemical Engineering from the University of Missouri (2006), and an M.S. in Environmental and Water Resources Engineering (2010), an M.P.Aff. in Public Affairs (2010), and a Ph.D. in Civil Engineering (2013) from the University of Texas at Austin. Her previous work experience includes consulting engineering at Burns & McDonnell (2006-07) and policy research at the Congressional Research Service (2009). Stillwell received the 2015 Girl Scouts of Central Illinois Woman of Distinction Award in Science, Technology, Engineering, and Mathematics, and the 2018 Rose Award for Teaching Excellence. She has been among the List of Teachers Ranked as Excellent by their Students. She serves on the Board of Directors of the Girl Scouts of Central Illinois and is currently the Chair of the Board of Directors of Faith in Place. Her research interests include urban water and energy sustainability, water impacts of thermoelectric power generation, and green stormwater infrastructure. Abstract: Confronted with the twin challenges of rapid population growth and a rising incidence of extreme weather, global cities require significant changes to their physical form to enhance climate resilience. In this talk, I explore how cities have responded to climatic forces in the past, how a movement away from climate-responsive design has compounded the challenge of adaptation, and the need for a new mode of urban planning — climate adaptation planning — to anticipate and manage ongoing impacts from global and regional climate change. As extreme heat poses an acute risk to human health in a warming world, I highlight recent efforts in large cities to lessen the intensity and frequency of heat waves through neighborhood-scale adaptation programs. Bio: Stone is a Professor in the School of City and Regional Planning at Georgia Tech, where he teaches in the area of urban environmental planning and design. His program of research is focused on the spatial drivers of urban environmental change, with an emphasis on urban scale climate change. He is Director of the Urban Climate Lab at Georgia Tech. Stone’s work on urbanization and climate change has been sponsored by the National Science Foundation, the U.S. Centers for Disease Control and Prevention, and the Trust for Public Land, and has been featured in broadcast and print media outlets such as National Public Radio, The New York Times, and The Washington Post. He is the author of The City and the Coming Climate: Climate Change in the Places We Live (Cambridge University Press), which received a Choice Outstanding Academic Title Award. Stone holds an M.S. in Environmental Management from Duke University (1996) and a Ph.D. in City and Regional Planning from Georgia Tech (2001). Abstract: As part of the new University of Illinois campus strategic plan, we may establish a goal to develop a testbed for smart, sustainable city technology across campus, Champaign, and Urbana. To accomplish this goal, we will develop the infrastructure and operating system for this testbed and invite developers to create applications that offer innovative experiences, eventually to everyone through their phones or other digital devices. To accomplish this vision, we will work with partners to provide ubiquitous access to high-speed internet connectivity throughout the campus and communities. And we will develop a user interface — an app — that recognizes each person’s location and a bit about them. We envision these efforts will result in the development of thousands of new digital applications or services just like the development of the smart phone enabled the development of hundreds of thousands of apps and services. Our next step is to seek the participation and involvement of broad and diverse members of the campus and community. We are particularly interested in people who can contribute to discussions about privacy and cybersecurity, digital access to members of our community who have limited access to technology, the physical infrastructure supporting a smart city, and insights regarding financial agreements with potential partners. Bio: Sullivan works to create healthier, more sustainable communities. He is Professor and Head of Landscape Architecture at the University of Illinois where he and his students examine the benefits that come from having regular exposure to urban landscapes containing green infrastructure. Sullivan is a Senior Fellow at the National Council for Science and the Environment, Adjunct Professor at National Taiwan University in Taipei, and is an active member of the University of Illinois’ Education Justice Project. He is helping lead the U of I campus’ emerging efforts to develop a smart community. Sullivan holds a Ph.D. from the University of Michigan with a concentration in Environment and Behavior. Abstract: With a population density 10 times that of the U.S. as a whole, Rhode Island offers a potential model for sustainable food systems development in urban and urbanized areas. Though New England state governments have established a goal of meeting 50 percent of food needs regionally by 2060 — the 50 by 60TM plan — Rhode Island farmers produce only 1 to 2 percent of the food consumed in the state. Making a substantial contribution to regional food sovereignty will demand a dramatic increase in production, but urbanization and development pressures constrain agricultural expansion. Increasing production will require growing food on underutilized, fragmented, and often marginal lands. It will also require maximizing production on both new and existing agricultural land. Focusing on urban to peri-urban production environments, this ongoing project develops a spatially explicit model of the state’s production capacity that takes into account existing intensification levels, local social, economic, and natural resources, and production constraints. It integrates data from a grower survey, remote sensing and other GIS data, and data from agronomic experiments comparing the sustainability and productivity of different forms of intensive production. Preliminary results indicate that substantial progress toward food sovereignty could be achieved through adoption of sustainable production technologies and expansion of urban and peri-urban agriculture. Doing so, however, will require substantial economic investment and grower education. Bio: Taylor is Assistant Professor of Agroecology at the University of Rhode Island. His research and teaching focus on urban and peri-urban food systems. He received his Ph.D. in Crop Sciences from the University of Illinois at Urbana-Champaign and his Master’s in Landscape Architecture from the University of Michigan. His research explores the social and ecological dynamics of food production at multiple scales — from home gardens to commercial farms — with the overall goal of making local food systems more sustainable and resilient. Taylor previously taught in the Graduate Food Studies Program at Chatham University and in the Department of Landscape Architecture and Regional Planning at the University of Massachusetts at Amherst. Students, postdocs, and other researchers were invited to present posters during the evening receptions on Oct. 3-4. Christopher Chini, Ph.D. Candidate, Civil and Environmental Engineering: “U.S. Urban Water and its Embedded Energy” — Data on urban water resources are scarce, despite a majority of the U.S. population residing in urban environments. Further, information on the energy required to facilitate the treatment, distribution, and collection of urban water is even more limited. In this study, we provide and analyze a unique primary database consisting of drinking water and wastewater utility flows and energy that comprise anthropogenic fluxes of water through the urban environment to assess the state of the U.S. urban energy-water nexus at over 160 utilities. The average daily per person water flux is estimated at 560 liters of drinking water and 500 liters of wastewater, requiring 340 kWh/1000 m3 and 430 kWh/1000 m3 of energy, respectively, to treat these resources. The water and embedded energy loss associated with non-revenue water (estimated at 15.7%) accounts for 9.1 km3 of water and 3,100 GWh — enough electricity to power 300,000 U.S. households annually. Finally, the water flux and embedded energy fluctuated monthly in many cities. As the nation’s water resources become increasingly scarce and unpredictable, it is essential to continuously evaluate and update the state of the U.S. urban energy-water nexus. Emily Langtiw, Undergraduate, Advertising: “Eco Fashion Week Chicago” — The city of Chicago is a hub for creativity, public gatherings, and sustainable solutions. From Lollapalooza to the Taste of Chicago, the Windy City is known for bringing people from around the world together to unite in food, music, and culture. With the city climbing the ranks of the top 100 major fashion cities around the world, as well as sustainable fashion becoming more apparent with our ever-growing need to address the climate change crisis, what better place to host an environmentally friendly fashion show than Chicago? Eco Fashion Week Chicago is the event platform that supports emerging fashion designers and ethical fashion influencers who are making waves in the environmental movement. This social startup is a big effort to invest in the green economy, put forth new sustainable design techniques, and demonstrate sustainable business solutions that will disrupt fashion labels around the nation. Sushobhan Sen, Ph.D. Candidate, Civil and Environmental Engineering: “Pavement Characterization for Urban Heat Island Mitigation” — The Urban Heat Island (UHI) effect is a phenomenon in which cities are warmer than adjoining rural areas, and it has been observed all over the world. Pavements contribute to UHI by absorbing and storing more heat than natural surfaces. Pavements in dense urban areas can create an even stronger heat island due to restricted wind flow. Thermal and optical characterization of pavements were investigated to predict pavement surface temperatures, and then used in Computational Fluid Dynamics (CFD) modeling to evaluate UHI for different wind directions. Pavements with high albedo and thermal diffusivity show the highest potential to mitigate UHI, with pavements placed near open, windy spaces showing enhanced mitigation. In addition to the posters above, Urbana Middle School (UMS) is bringing posters on five different challenges its sixth- through eighth-grade students have explored as part of the Future City competition. Each year, the students use an engineering design process to imagine, research, and design a city of the future that addresses a real-world challenge. UMS students will present a model city from its 2017-18 challenge. North side of Illini Union facing Green Street. The Illini Union is located on Green Street, right at the meeting point of Urbana and Champaign. This facility is a warm and welcoming space perfect for soaking in the latest knowledge on how water, agriculture, and energy interact in our world today and in the future. Address: 1401 W. Green St.
View on Google Maps or the Illinois Campus Map. Many of the Champaign-Urbana Mass Transit District’s bus routes pass right in front of the Illini Union on Green Street, or stop close by at the Illinois Transit Plaza. The 2 Red, 5 Green, 8 Bronze, 10 Gold, 12 Teal, 13 Silver, 21 Raven, and 22 Illini stop on Green at the newly renovated stops. Bicycle racks are available, and active transportation is encouraged. Parking is available at meters in nearby lots and along the street. Please be sure to read the specific instructions of your meter; each street and lot can be slightly different from others nearby. Nearby eats: In addition to the Union’s own food court and eateries throughout the building, there are plenty of places to grab a bite to eat between sessions on Green Street. The quickest, easiest way to travel a long distance to the iSEE Congress is to fly into Willard Airport (CMI) in Savoy.